Yes! same problem here! I found a fix! I, as you, updated Nvidia drivers last night. Go to control panel choose hardware and sound under devices and printers, choose device manager. look for your graphics card under display adapters. right click and choose properties. on the driver tab, choose roll back driver. it should freeze for a sec, and the screen might turn off and on again. but when it's done (it lets you close the window), it should all be good. Probably don't even need to reboot. Good luck! This server is great. I played on this server one or two years ago and never really explored some mods, I came back to it with more knowledge of those mods, and it has been SOOOOO much fun. I would definitely recommend this server to my friends and already have to some. Thanks for having a great server. I played Tekkit Classic before it was referred to as Classic way back when. I got bored of Minecraft and hadn't really played much since then. I never cared for the fantasy magic direction the game went and would have preferred higher technology and more ores. I recently remembered that there is a mod pack out there directed right at high technology. Seeing as Tekkit Legends is the most up to date version of Tekkit, I decided to give it a go. I spent my entire 3 day weekend playing Tekkit Legends. It was phenominal. To the mod makers that worked on this pack and its various pieces: Thank you so much! I haven't been this excited to play a game since I don't know when. Why is your modpack set to be 1.6.4 while you are using a 1.7.10 Forge? Wait longer till that link actually gets synced. It is not update and immediately done. Your SSL certs are broken somehow. This tool may help https://www.digicert.com/util/repair-intermediate-ssl-certificate-errors-using-digicert-utility-for-microsoft-servers.htm You could also stop by the Technic Discord and drag a log into the chat, the bot there will probably have an SSL fix for you too. I've been on this server for a bit, on a different account previously that i borrowed until I got my own. I was sure that it would have died out by now, but that is not the case. People still join, have fun, and are a great community. The server is not too strict, but the nice in between. Every time I have been on this server its provided a great experience and is plain out a great server. People help if you need it, the admins do not abuse their power, and it has good grief protection and money system. 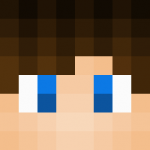 Overall its a really good server, and the best Tekkit server I have been on so far. I'd highly recommend this server to people playing Tekkit, whether it be a newcomer or an advanced player. I am really enjoying the server! Hi, Whenever I load up TC, I can move for 2-4 seconds before only lshift and the mouse work. I am on mac. I've scoured the internet, found people w/ the same problem as me, but most of these threads have no replies. Can you guys please help me? I've tried different versions, reinstalling, restarting computer, everything. Please, please help me. AWESOME MODPACK! Advanced Wizardry is a great mod pack with lots of awesome mods. The staff team are kind and helpful, and play the server like a normal player would do so. The community is welcoming to all new players and everyone does their best to help each other out. The server is run professionally and efficiently by the excellent staff team. All of the mods link together perfectly to create an experience that any one with an interest for modded servers will enjoy. The server is constantly growing and getting new updates. I would definitely recommend downloading and checking out the server for yourself! Great job by the development team in pulling the server together. Hope to see you online soon! Hint. Google what gilded-games-util is.